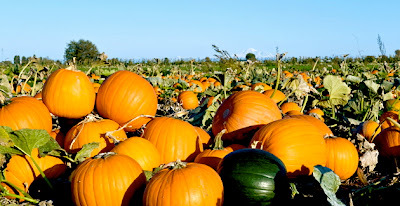 I love pumpkin...it is not a surprise to you if you have followed my blog for a while. Check out these past pumpkin lovin' posts. Pumpkin is very low in starch and calories, is rich in fibre and has a whack of powerful antioxidants. This means that pumpkin is not only great for your waist line, it is also a health boosting superfood! Most often we see pumpkin in sugar laden rich desserts....making it not a health food anymore. Here and in my past pumpkin posts, I like to reduce the sugar and switch to wholesome sweeteners along with adding other super foods. I got inspiration for this recipe from a fellow blogger. Find the link below. I just decreased the honey a bit and added stevia to lower the sugar in this recipe. I also used coconut oil instead of olive oil because i thought it would taste better. And switched up the spice mix by making cinnamon the star here. This loaf is one of my new favourite pumpkin recipes! This recipe uses almond flour instead of a grain based flour. It is made by removing the skins of the almonds and grinding into a fine powder. Almond flour is low on the glycemic index, rich in vitamin e, maganese, magnesium, healthy fats and protein. Bake in a bread pan for 60 minutes or until the outside is very brown. Do the toothpick test to see if it is done! It should come out dry. The timing really depends on how moist your pumpkin puree is. *Try roasting your own pumpkin. It is so easy. Cut the top of the pumpkin like you would to carve. Scoop out seeds. Place the top back on pumpkin. Roast at 350 for about an hour, depending on size of pumpkin. I then remove peal, puree and store in the fridge for my favorite pumpkin recipes. Here are a few more of my fave’s. I love pumpkin bread! This looks really delicious!